The Wood Duck Heron was first tied by New Hampshire angler Nick Lambrou, who intended it to be an imitation of a Hexagenia mayfly emerger. As many anglers have discovered, the pattern also works well as small baitfish pattern. As with the Hornberg, you can fish this fly pretty much any way you want, and it will catch trout. Better yet, it’s ridiculously easy to tie and requires just two materials. 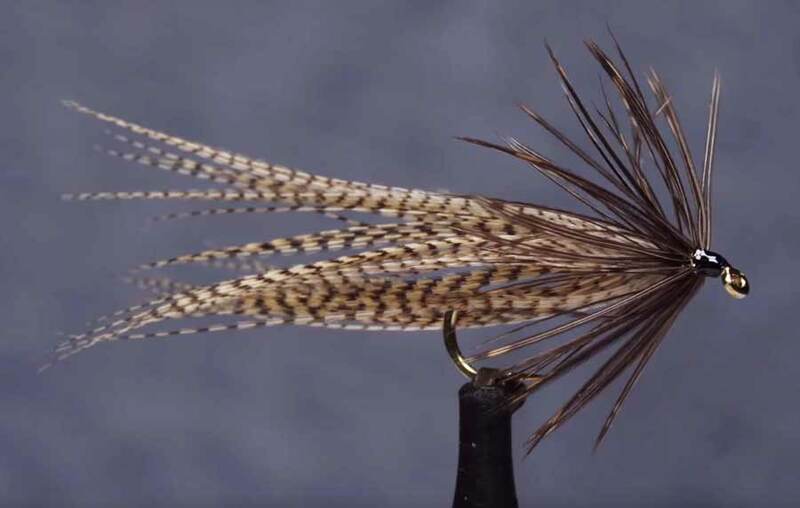 In this excellent video,Tim Flagler of Tightline Productions demonstrates his method for tying the Wood Duck Heron, and his feather-preparation tricks are key. The way he trims the feathers before tying them on and then smooths the fibers rearward are ket to creating a good silhouette. Hook: 3X-long nymph hook (here, a Dai-Riki #710), size 12. Thread: Black, 8/0 or 70-denier. Body: Wood duck flank feather. Collar: Brown soft-hackle hen feather.